UPDATE 20 December 2016: I made some fixes to the solution - be sure to grab the latest code snippet from below! Having worked in all sorts of Google Analytics projects over the years, I’ve found myself more and more interested in the technical underpinnings of digital analytics rather than the actual analytical work. We all play to our respective strengths, I guess. For example, there are still many purely technical / technological mysteries surrounding Google Analytics, because much of the data processing is done server-side. I’ve covered much of Google Analytics debugging in this article. However, no matter how successful your own tests are, one thing is missing: a solid, reliable way of collecting data from all failed requests from your site visitors. Google Analytics doesn’t automatically log problems with data collection, even if Analytics notifications do reveal some issues. This can, and should, lead to healthy doubt concerning the veracity of your data set - is it a representative sample of all hits sent from your digital property, or is some business critical information (such as Ecommerce) being dropped more than average? In this article, I want to show a simple way of logging all failed requests in Google Analytics as new events. 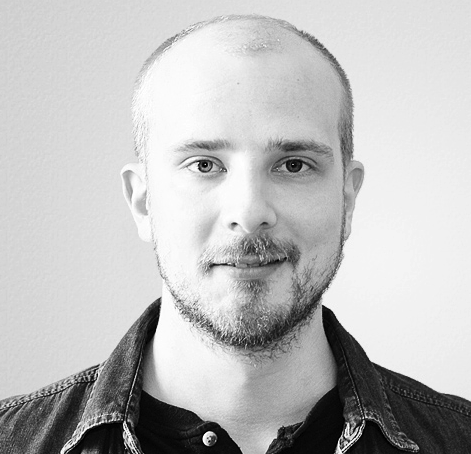 The solution builds on Stephen Harris’ awesome GA Spy, and the technical approach is encapsulated in a single Custom HTML Tag in Google Tag Manager. GA Spy to processes every single call to the ga() global function. 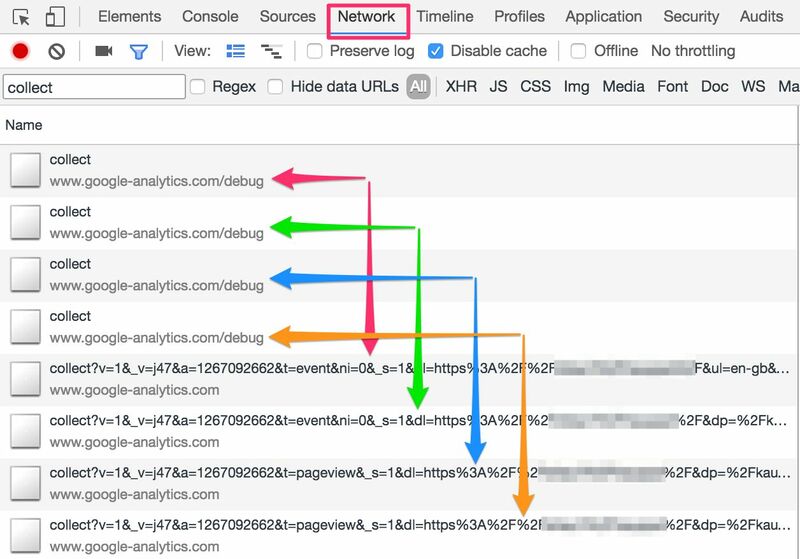 For each call with the send command, send the hit payload to https://www.google-analytics.com/debug/collect (read more about the /debug/ endpoint). Don’t forget to send the regular hit to Google Analytics. If the /debug/ returns a failed request, push the error message and the failed hit payload into dataLayer. In a nutshell, for every hit sent to Google Analytics, you’re also sending the same hit to the GA debug endpoint. This endpoint returns information on whether or not the request was a success, and if it wasn’t, what was wrong with it. Heck, you can even click one of the error messages to drill down to the actual payloads. For example, if I choose ‘ea’ error, I can see the payloads and verify that indeed, there’s no Event Action parameter with these hits. I can then go to GTM, find the offending tag, and fix it to always send some value in Event Action. However, I’ve elected to send the information to Google Analytics. Doing so, I can align these validation errors with all the other hits that this particular user has sent to GA, and I can thus potentially identify bigger issues that these validation errors might only be a symptom of. For example, it’s possible that an Ecommerce tag only fails if the user has followed a specific funnel on the site. By sending the validation error to Google Analytics, I can see if it occurred during one of these broken funnels, giving me more information to fix it in the end. You basically need a Custom HTML Tag that fires on the All Pages trigger, with a higher Tag Priority than any of your Google Analytics tags that might also fire on this event. It’s important that this code starts its execution before your Google Analytics tags have a chance to start up. This code overwrites the ga() method, and any tag that has already fired will not be debugged with this solution. This solution uses Universal Analytics Tasks API to copy the hit payload sent to Google Analytics, and to send it then to the debugger endpoint. Again, remember to test it. 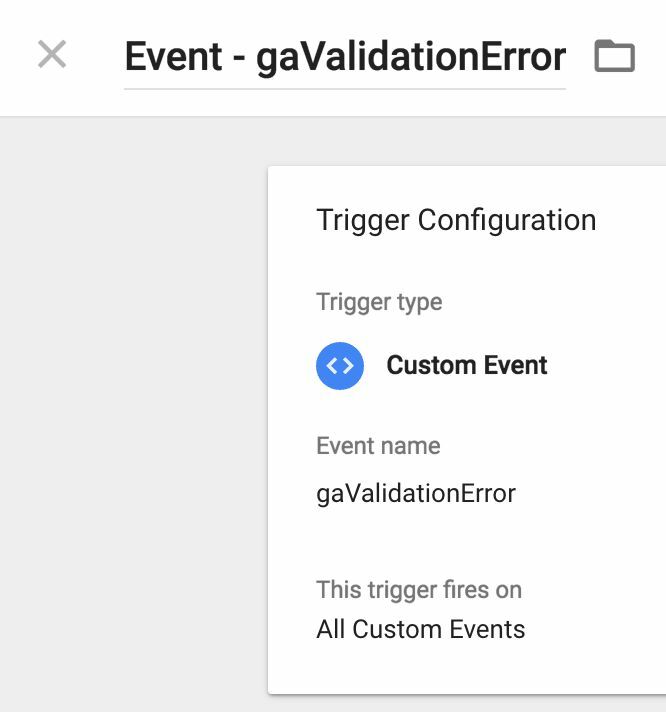 To send the validation error hits to Google Analytics, you’ll need a Universal Analytics tag, two Data Layer variables and a Custom Event trigger. Don’t bother looking it up in the supported field reference for analytics.js, it’s not there. It’s a custom field I created only for this solution. It prevents two things: 1) Calls to the debug endpoint from multiplying when the same tracker is used, and 2) calls to the debug endpoint for the validation error events. 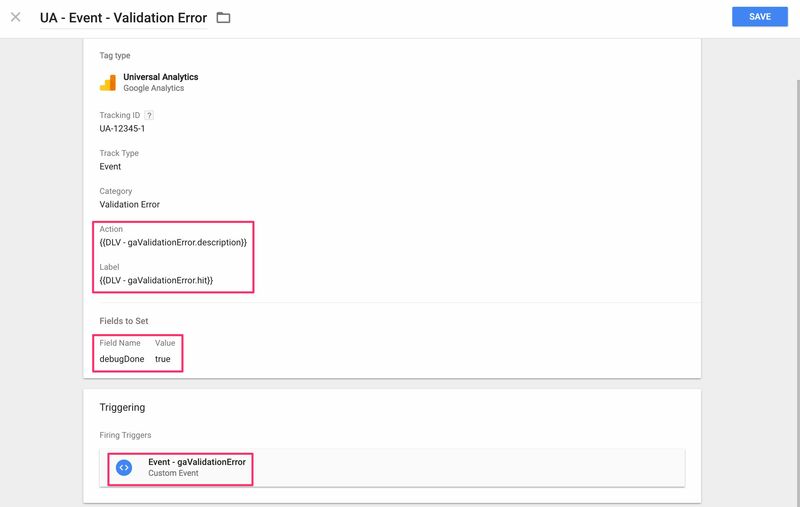 This particular tag will send each validation error as a non-interaction event to Google Analytics, with the error description as the Event Action and the broken hit payload as the Event Label. This solution relies on the awesomeness of GA Spy. The script basically hijacks the GA global method, and copies all commands to the debug endpoint. What this solution does is give you yet another tool for validating your Google Analytics setup. When working with complex Google Tag Manager setups, it might be difficult to keep tabs on all the variables you are using. This might lead to problems in your tags, when a required field ends up with a blank value just because a variable didn’t resolve in an expected way. This solution lets you find these cases with ease, giving you a clear path to fixing them before they become a real data quality problem. Another thing that would make this whole thing easier was if the original request to /collect simply returned the debug payload automatically. That way you could just look at the responses to the GA requests without having to do the extra trip to /debug/. I understand this doesn’t exist because of latency and how most hits to GA are still done with a GET request. Still, Google could at least make it a configurable setting in the GA request.